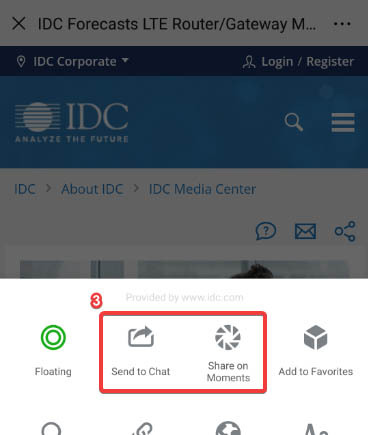 Digital transformation starts with mobility. Organizations with untethered business processes and ubiquitously accessible IT resources will be better positioned to compete and thrive in the digital economy. To this end, software platforms that create, deploy, manage, and secure all aspects of mobile computing are critical to successful digital transformation. 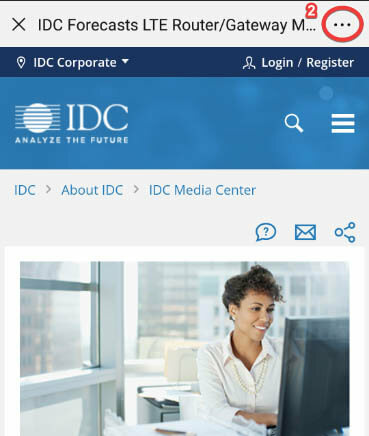 IDC's Enterprise Mobility: Platforms and Security service helps product, marketing, and strategic planning professionals understand the opportunities, competitive landscape, key trends, and end-user needs in the enterprise mobile infrastructure software markets. This CIS covers key software markets including enterprise mobility management (EMM) (as well as unified endpoint management [UEM]), mobile security, mobile applications development platforms, and enterprise location-based software platforms. In addition, this service provides IT professionals with key frameworks and decision-making tools to assist with mobile strategy development. What tools, processes, and strategies are enterprises using to manage the convergence of end-user computing technologies (from mobile smartphones and tablets to PCs and laptops) as well as emerging enterprise wearables technologies? How are enterprises approaching the development of mobile applications to enhance worker productivity, modernize business processes and workflows, and increase customer satisfaction and revenue? How is the shift to mobile-first application development changing enterprise mobile infrastructure software needs and decisions? What methods and best practices exist to create, deploy, manage, and secure access to corporate information on or by mobile devices? What effect will 5G have on enterprise mobility from the perspective of devices and apps to software platforms, security infrastructure, and overall mobile worker productivity? How are enterprises responding to the risks and security threats regarding mobile operating systems, apps, and services? How will mobile enterprise markets evolve in the context of megatrends such as cloud, social, big data, and the increasingly complex array of endpoints from which users access data? 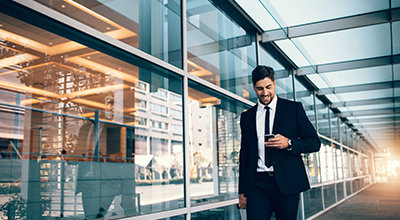 How are organizations leveraging mobility for business transformation, and what role does mobility play in the genesis of the next-generation workplace? Absolute Software Corporation, Alpha Software Services, Ltd., Amazon.com Inc., AnyPresence, Inc., Appcelerator, Inc., Apperian Inc., Apple Inc., BMC Software, Inc., Blackberry Ltd., Bomgar Corporation, CA Technologies, Inc., Check Point Software Technologies Ltd., Cisco Systems, Inc., Citrix Systems, Inc., F-Secure Oyj, Google Inc., Gupta Technologies LLC, HERE Global B.V., Hewlett Packard Enterprise, IBM, Intel Corporation, Ivanti, JAMF Software, LLC., KIDOZEN, INC., Kaspersky Lab, Inc., Kinvey, Inc., Kony, Inc., Lookout Inc., Microsoft Corporation, MobileIron, Inc., Oracle Corporation, Pegasystems Inc., Progress Software Corporation, Quest Software Inc., Red Bend Software, Inc., Red Hat, Inc., SAP SE, SOTI Inc., Salesforce.com, Inc., Samsung, Sencha Inc., Symantec Corporation, Tangoe, Inc., Trend Micro Incorporated, VMware, Inc., Verivo Software Inc., Wandera, Inc., Zebra Technologies Corporation, Zimperium, Inc., Zoho Corporation Pvt. Ltd.